“GTA V” landed on the PC platform in 2015, and the sales volume of the whole platform has exceeded 100 million. It is the most successful single-machine masterpiece in 10 years, and it is still popular. The picture quality is manually adjusted to the highest quality. The MSAA 2X and NVIDIA TXAA are turned on with a resolution of 1920×1080 and the video memory takes up 3422M. In GTA V, the frame rate of the XFX RX 590 is 66FPS, which is 8 frames ahead of the RX 580, 3 frames behind the GTX 1060 6GB. Assassin’s Creed: Origins is the largest in the history of the Assassin’s Creed series produced and distributed by Ubisoft. This game uses the open map sandbox game, the game almost presents the entire ancient Egyptian kingdom. The test is extremely high quality with a resolution of 1920×1080. In “Assassin’s Creed: Origins”, the XFX RX 590 ran out of the 89FPS frame rate, leading the RX 580 3 frames, behind the GTX 1060 6GB 2 frames. Far Cry 5 is a first-person shooter made by Ubisoft. It was officially released in March 2018. In the Far Cry 5 test, the XFX RX 590 ran out of the 80FPS frame rate, leading the RX 580 7 frames, 9 frames faster than the GTX 1060 6GB. The screen is set to 1920*1080 FXAA, DX12+ default is very high quality. In the Tomb Raider 10 test, the XFX RX 590 ran out of the 92FPS frame rate, leading the RX 580 8 frames, 9 frames faster than the GTX 1060 6GB. Tomb Raider: Shadow is an action adventure game created by Eidos Montreal Studio. This is the third series of the re-released Tomb Raider series, which was officially released on September 15, 2018. 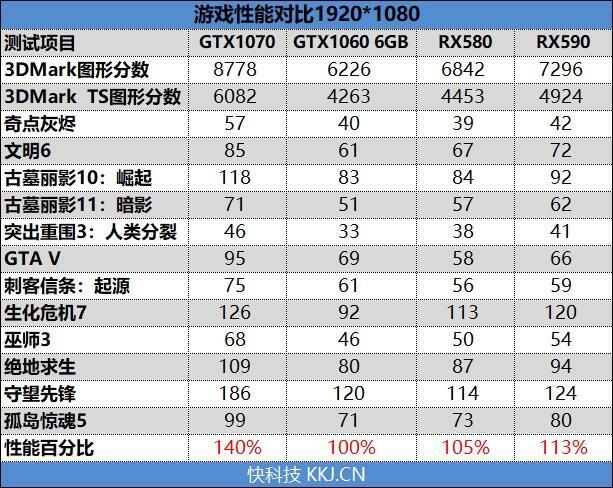 The game is supported by the RTX series of graphics card DLSS and ray tracing technology at the time of release, but more than two months have passed, and it has not been realized until now. In the Tomb Raider 11 test, the XFX RX 590 ran out of the 62FPS frame rate, leading the RX 580 5 frames, 11 frames faster than the GTX 1060 6GB. Although it has been on sale for a year, PUBG is still one of the hottest PC games. After several optimizations by Blue Hole Studio, it now has a relatively complete support for 6-core processors. Since the game did not provide a test program, we chose to select an unmanned field in the training field and repeated multiple frame rate tests to confirm that the result gap was less than 2%. The test was selected at the highest quality with a resolution of 1080P. 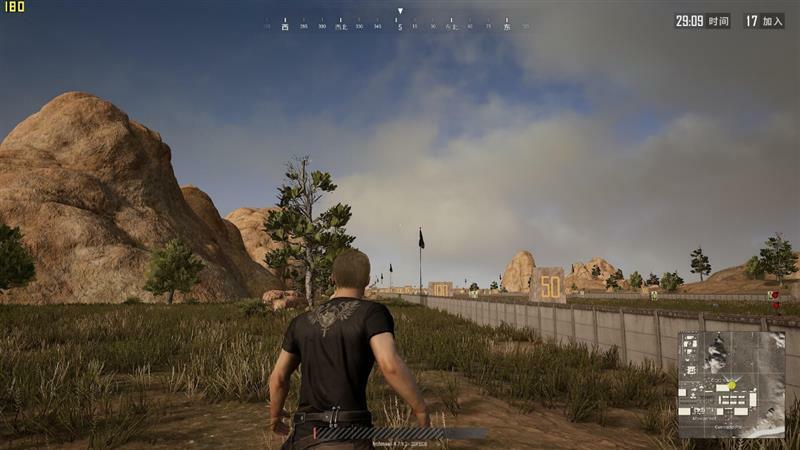 In the PUBG test, the XFX RX 590 has a frame rate of 94FPS, which is 7 frames faster than the RX 580 and 14 frames faster than the GTX 1060 6GB. As a veteran PC game test project, has optimized 8-core processor support, which has very high requirements for processors and graphics cards. In the Singularity Ashes test, the frame rate of the XFX RX 590 is 42FPS, which is 3 frames faster than the RX 580 and 2 frames faster than the GTX 1060 6GB. “Resident Evil 7” is the eighth part of the digital number series of the survival horror game “Resident Evil” produced by Capcom. It has a new horror survival experience, and the player’s visual switch to a more awkward virtual reality “Isolation Vision” mode. The sense of realism has risen to a whole new level. The test method of the game is to go from the start of the departure to the church door and record the number of frames in 20 seconds. When testing, choose to manually adjust to the highest quality, the resolution is 1080P. In the Resident Evil 7 test, the XFX RX 590 has a frame rate of 120FPS, which is 7 frames faster than the RX 580 and 28 frames faster than the GTX 1060 6GB. “Witcher 3” is the third part of the “Witcher” series of game works, and is the finale of Gerald’s adventure. The winners of the 33rd Golden Rocker Awards, the best visual design, the best game moments, and the IGN 2015 Best Games. Manually adjust to the highest quality when testing, the resolution is 1080P. 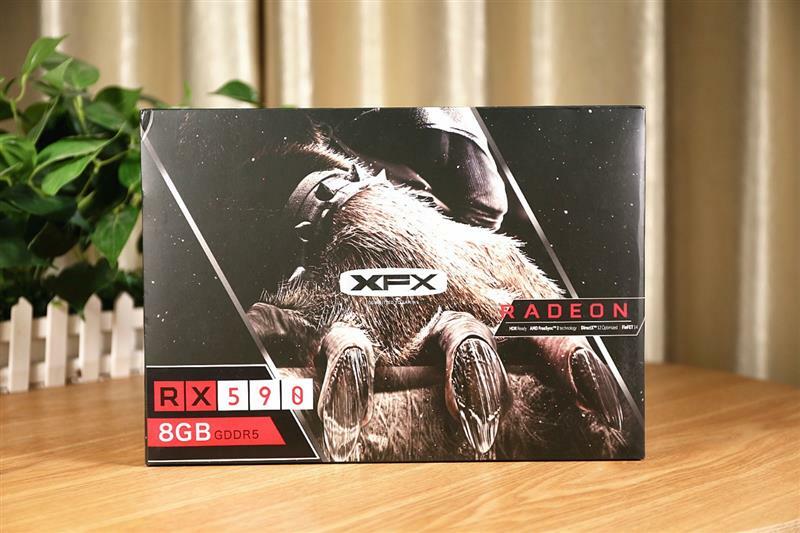 In the “Witcher 3” test, the frame rate of the XFX RX 590 is 54FPS, which is 4 frames faster than the RX 580, and 8 frames faster than the GTX 1060 6GB. Overall, the XFX RX 590 is 13% ahead of the GTX 1060 6GB and 7.5% ahead of the RX 580. Of course, there is still a considerable gap compared to the GTX 1070.